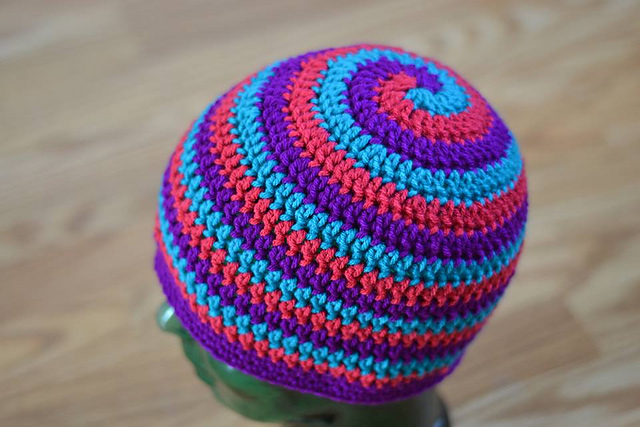 I love spirals. The shape has always appealed to me and when I see one unexpectedly it makes me feel good inside for no reason at all. But I don’t have to wait for spirals to pop up in my little corner of the universe. I can make my own! They are dead simple. Really. I predict that 15 minutes after watching this video you’ll be done with your first spiral and ready to make… about 17 more. The only step that is even the tiniest bit tricky is the magic ring start you need at the very beginning. I have a video on magic ring starts (ah ha! See how clever I am?) if you need a refresher on that. I sneak in a three-color spiral at the end of the video. What can I say? 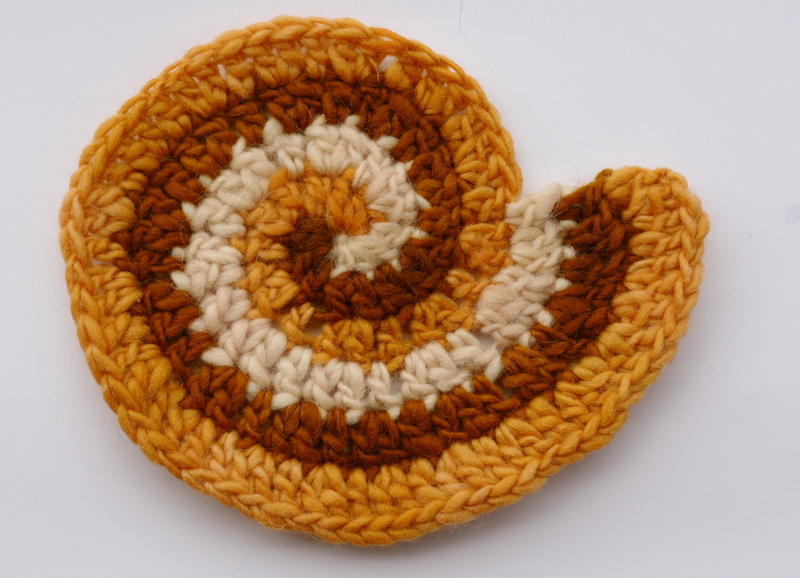 I love spirals and I have trouble stopping once I start making them. 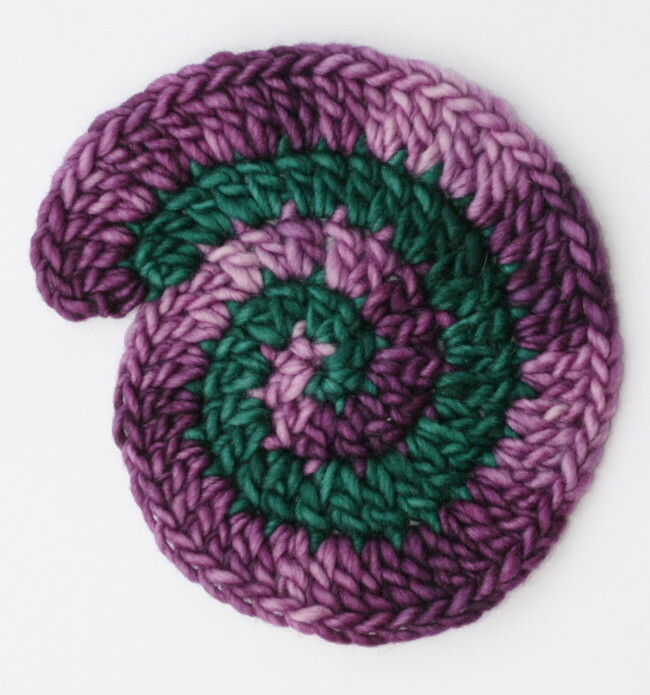 If you want to try the three color spiral, start it the same way as a two-color version (with a single crochet, half-double crochet, and double crochet in each color). Then pick up the color you started with and working into the second color: put one double crochet into the first stitch, put two double crochets in to the next… and so on. I do hope you enjoyed this tutorial. 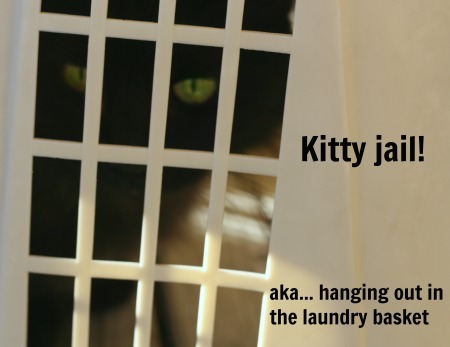 I have others and you can find them on the Tips, Tricks, and Videos page. 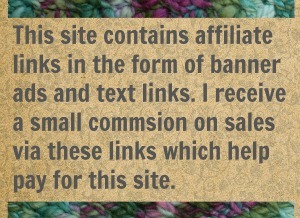 2 Comments on "Sunday Stitch – Crochet Spirals"
Your TARDIS never has to know you had a nooner with a crochet hook. we’d never tell on you!